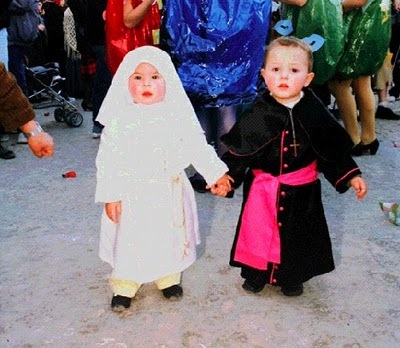 Finding itself yet again on the losing end of a popularity contest with young people, The Catholic Church’s Mexican Archdiocese has condemned Halloween. Claiming “[t]hose who celebrate Halloween are worshiping a culture of death that is the product of a mix of pagan customs”, the Church appears mind-numbingly oblivious to one of the most prominent Mexican holidays, the Day of the Dead. While we’re on the subject of Pagan customs, lets not forget Christmas, a co opted version of Saturnalia, the Roman festival in which gifts were exchanged and candles were lit in honor of the god Saturn. Easter supplanted the a spring fertility festival named after the pagan goddess “Eostre“.